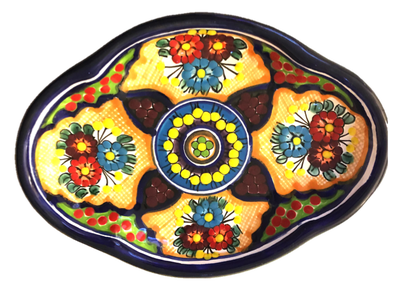 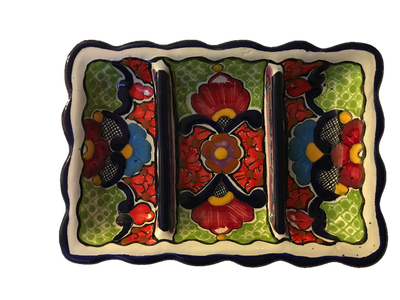 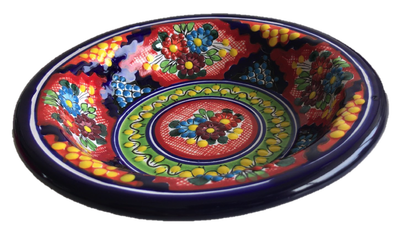 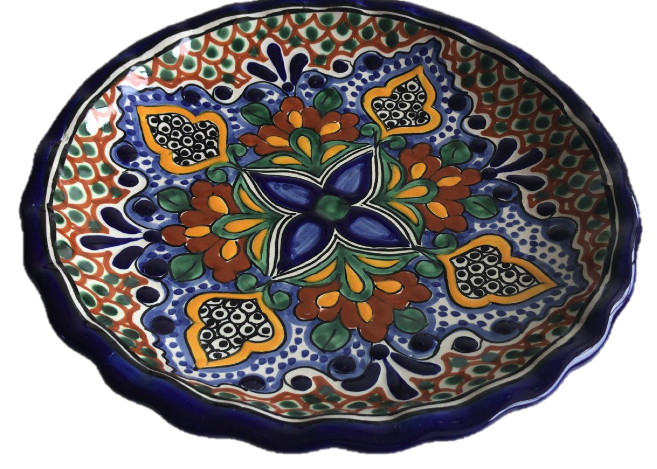 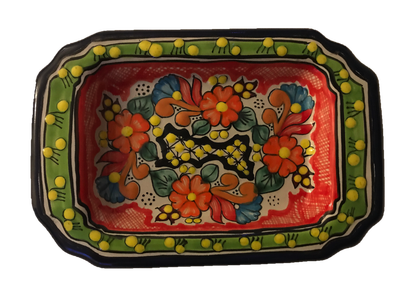 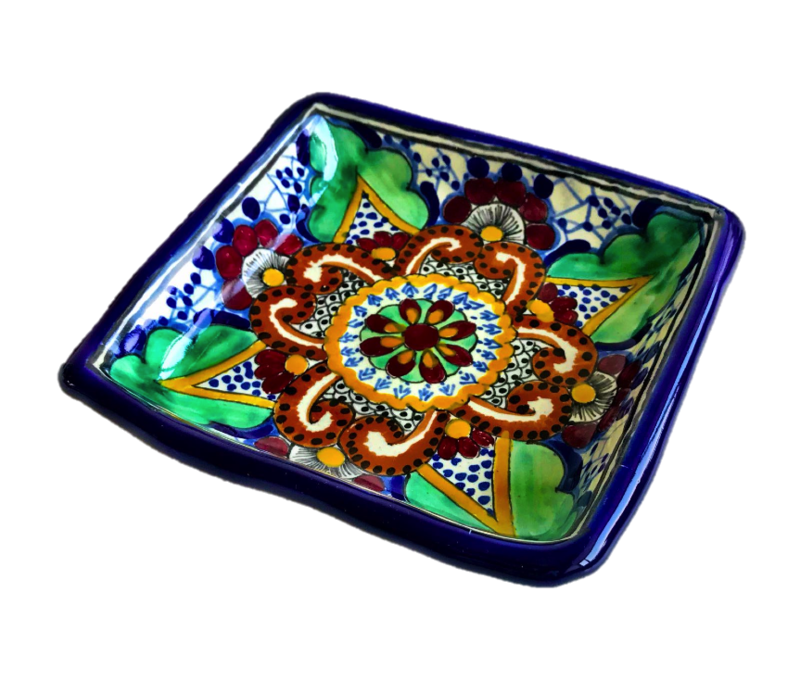 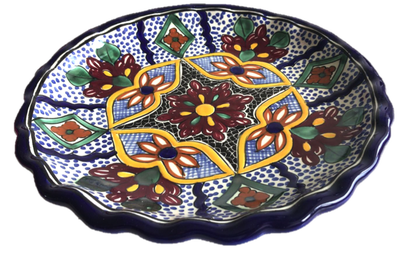 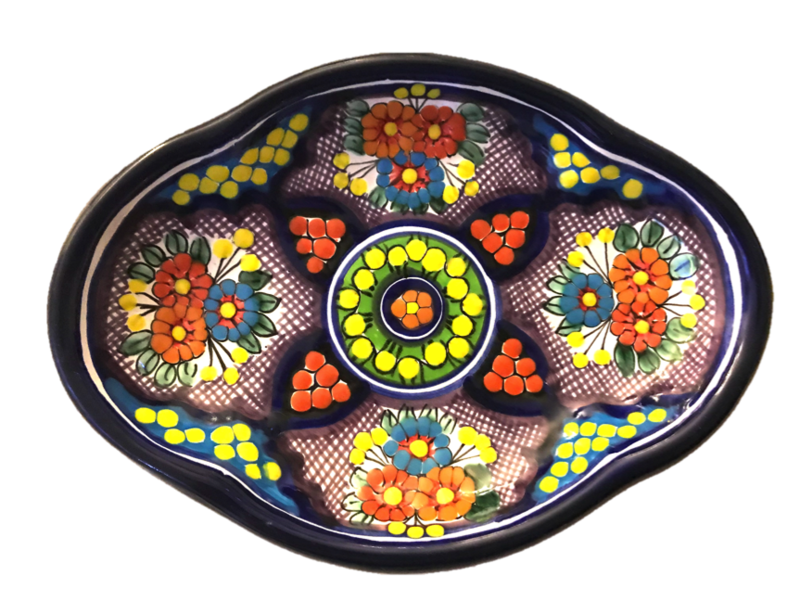 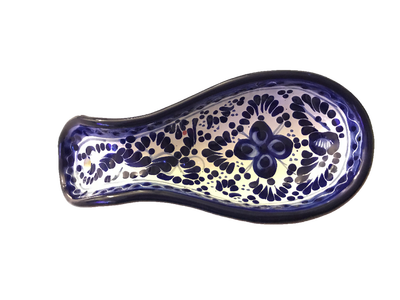 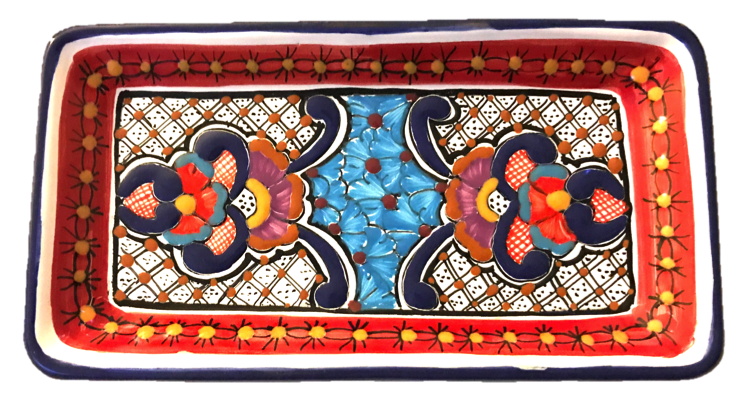 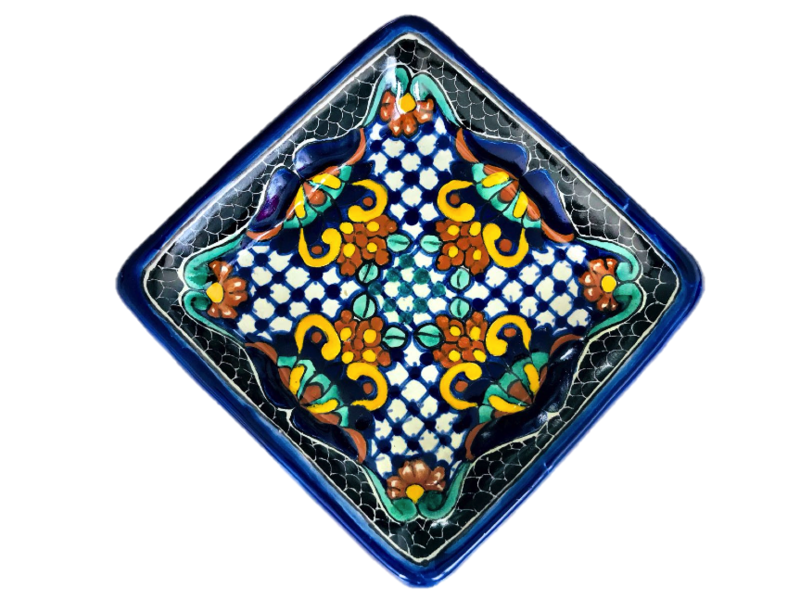 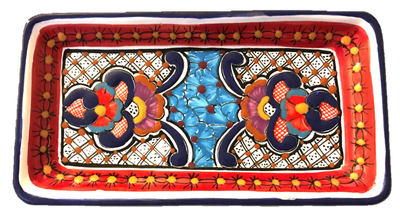 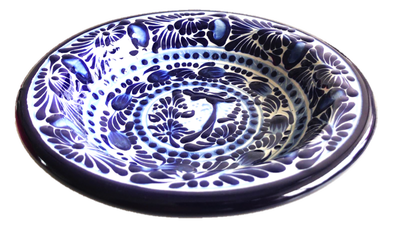 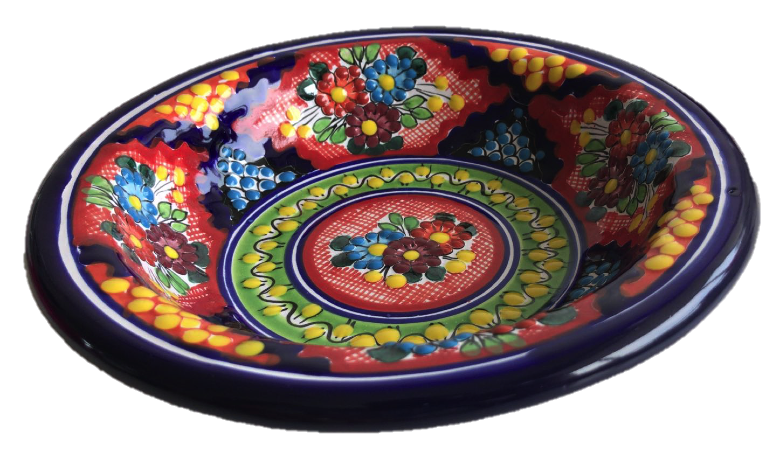 These unique pieces are carefully handcrafted in the states of Puebla and Tlaxcala Mexico, using a technique called Talavera. 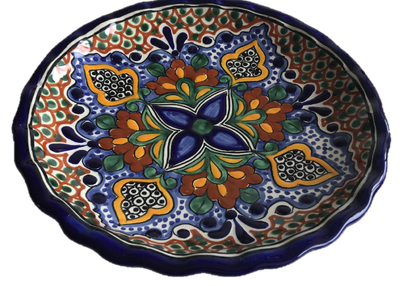 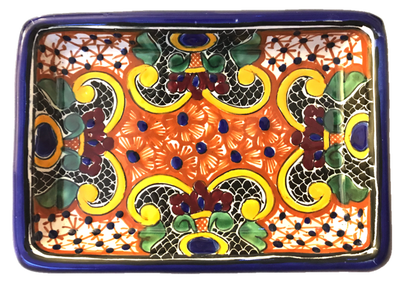 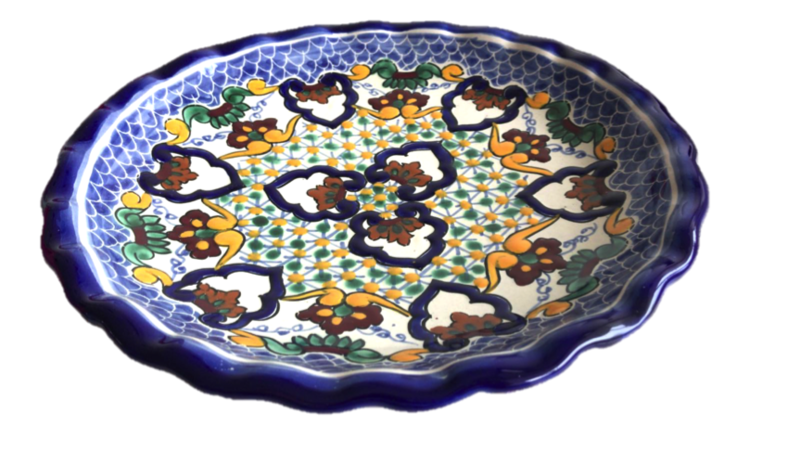 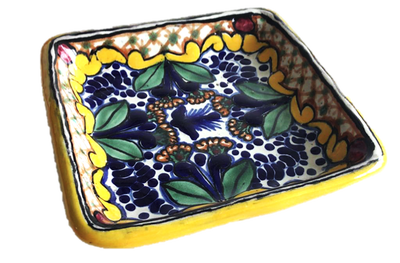 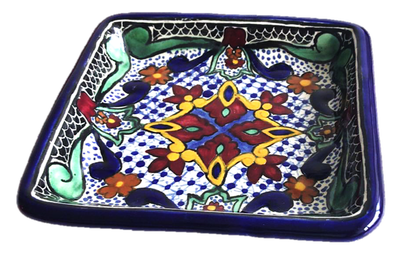 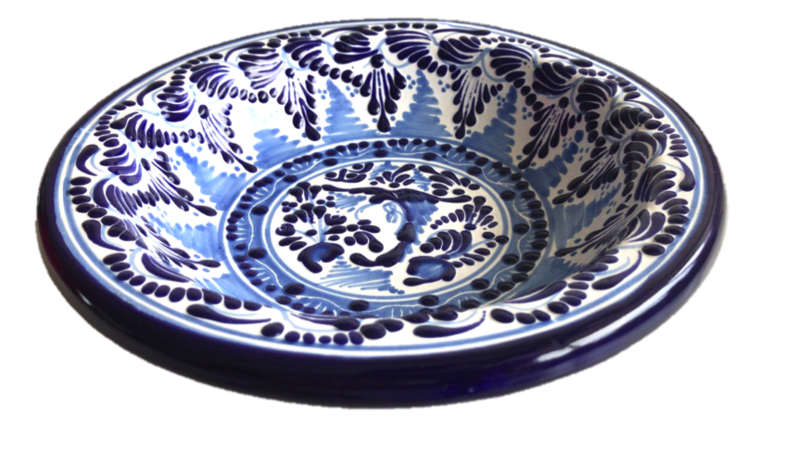 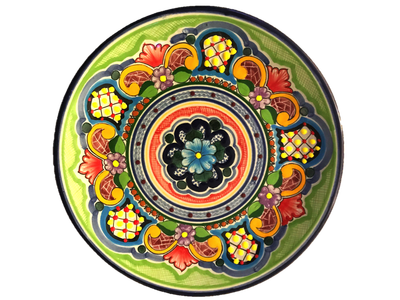 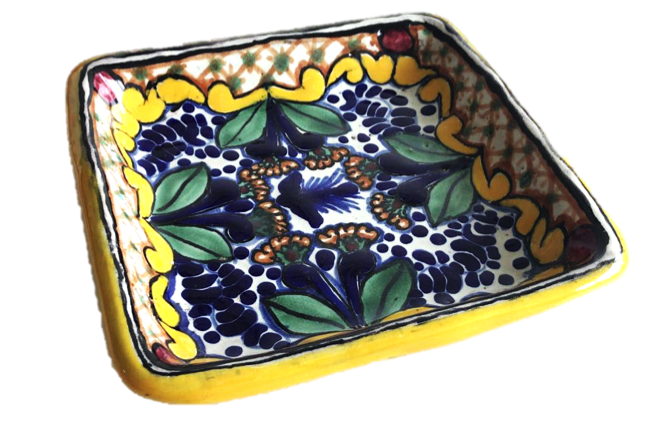 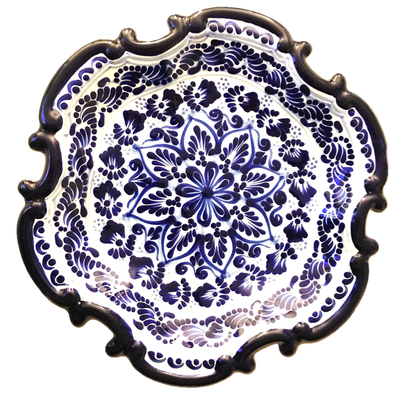 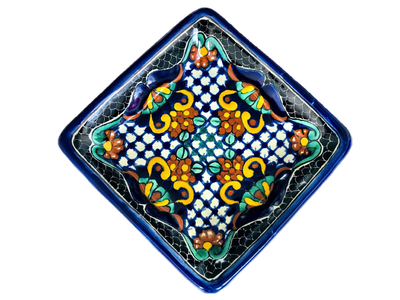 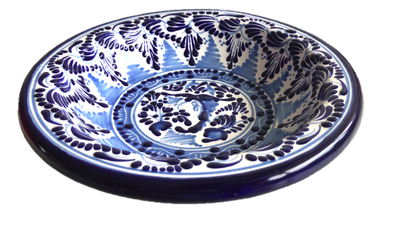 Talavera pottery is created with majolica earthenware, which is a type of ceramic that is glazed and white in color. 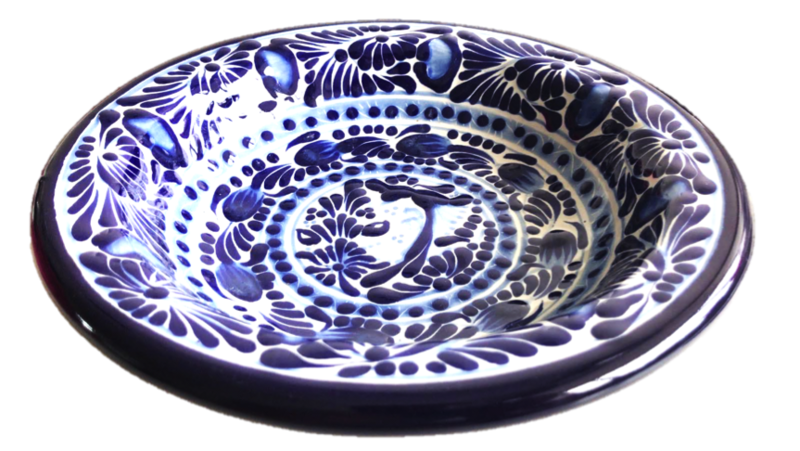 Artisans in Tlaxcala learned the techniques from the famous Uriarte workshop in Puebla. 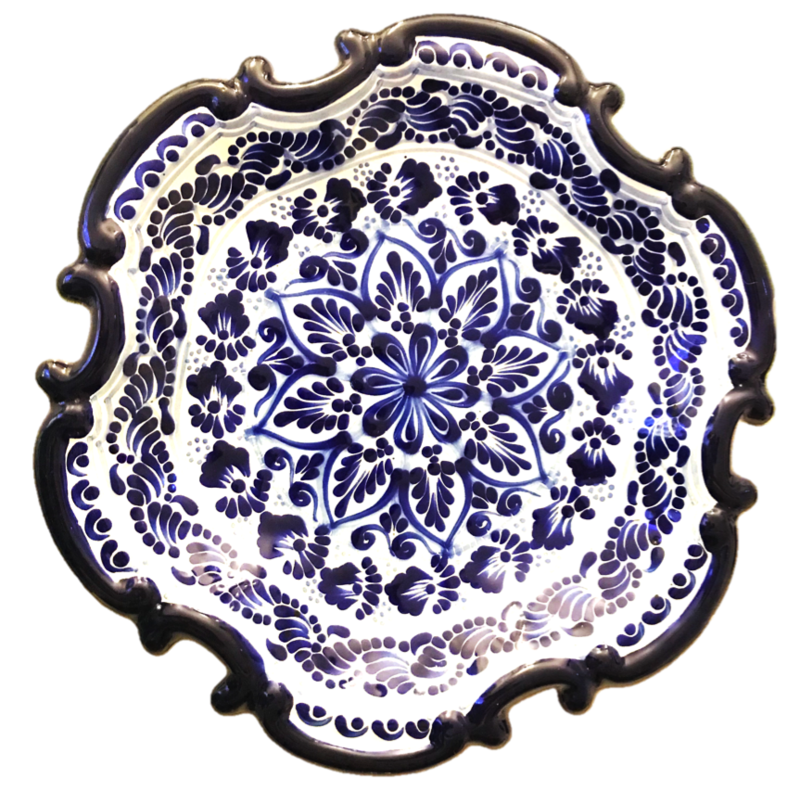 They have preserved the techniques and produce unique pieces also highly recognised. 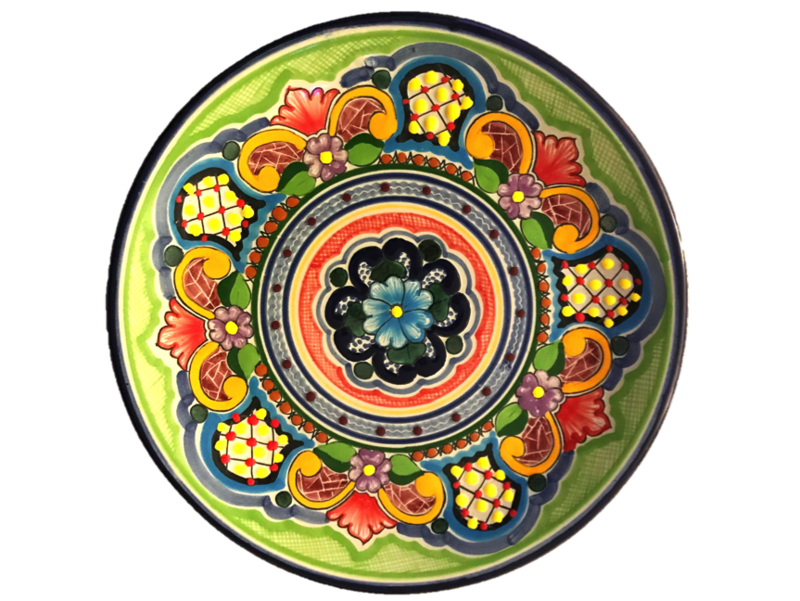 The pottery is still being made with the same techniques that were used during the 16th Century. 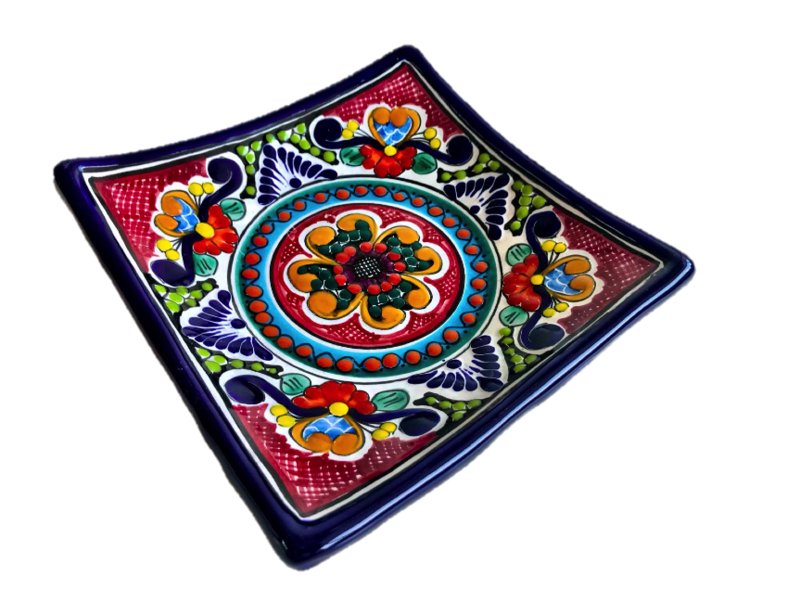 These unique pieces are carefully handcrafted in the state of Guerrero Mexico, using a technique called Olinala Wood Painting. 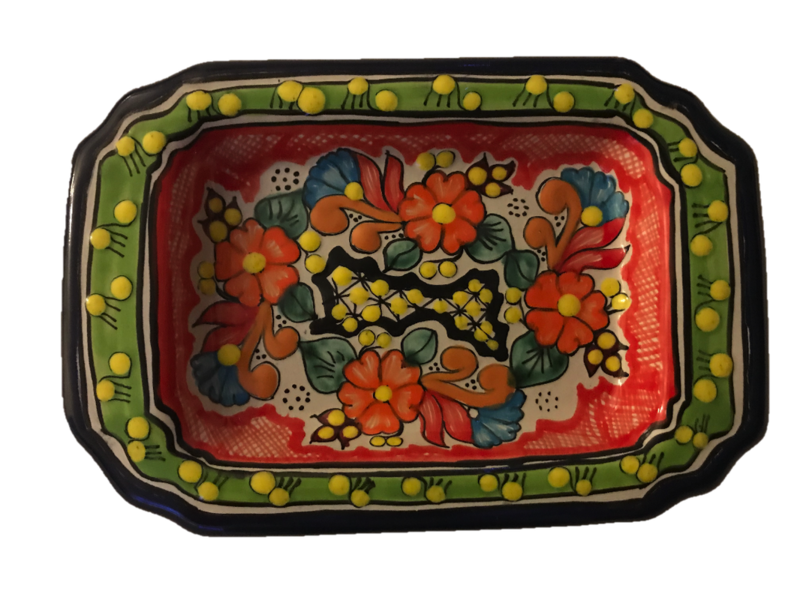 It is made with the aromatic light coloured wood called "linaloe". 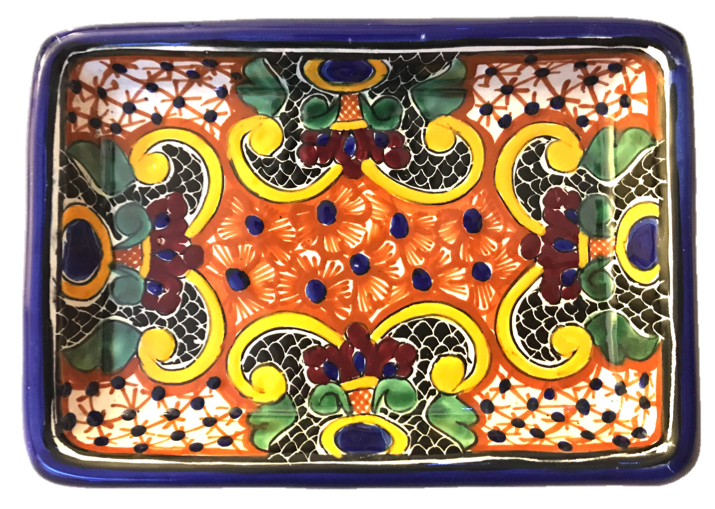 Decorated with black laque painted with figures and very traditional colors of Mexico using vegetable painting and maguey. 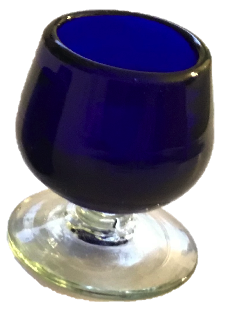 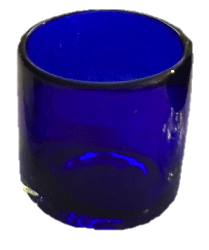 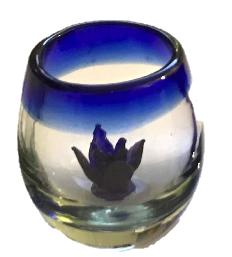 ​Each piece of hand blown glassware is a unique creation. There will never be two exactly alike. 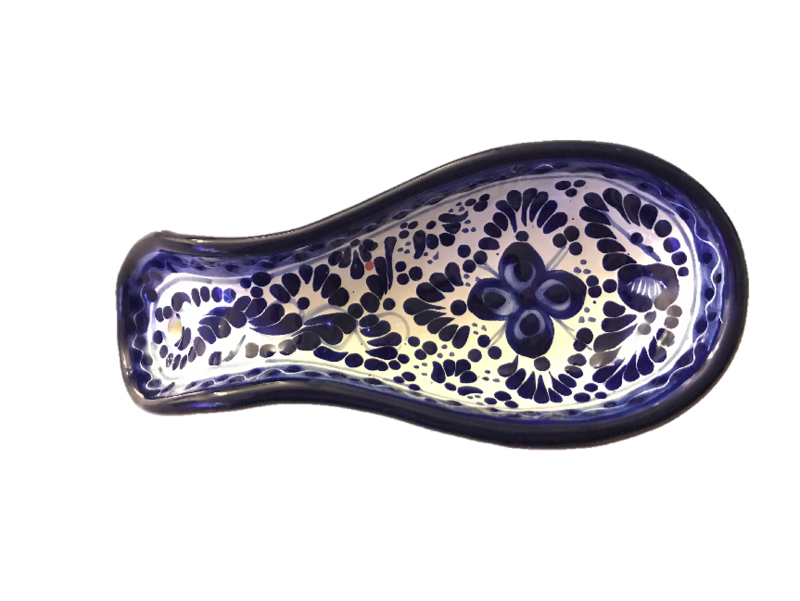 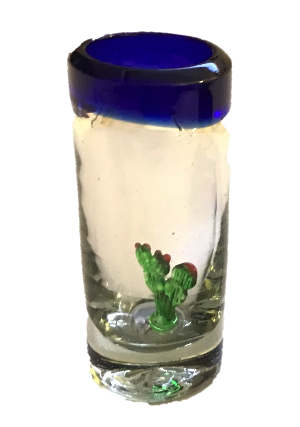 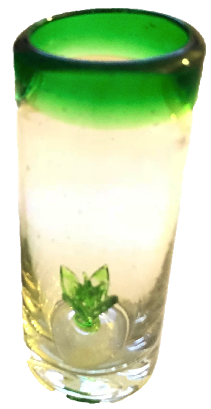 The centuries-old glass blowing techniques used by the craftsmen create small air bubbles in the glass giving this type of glassware. 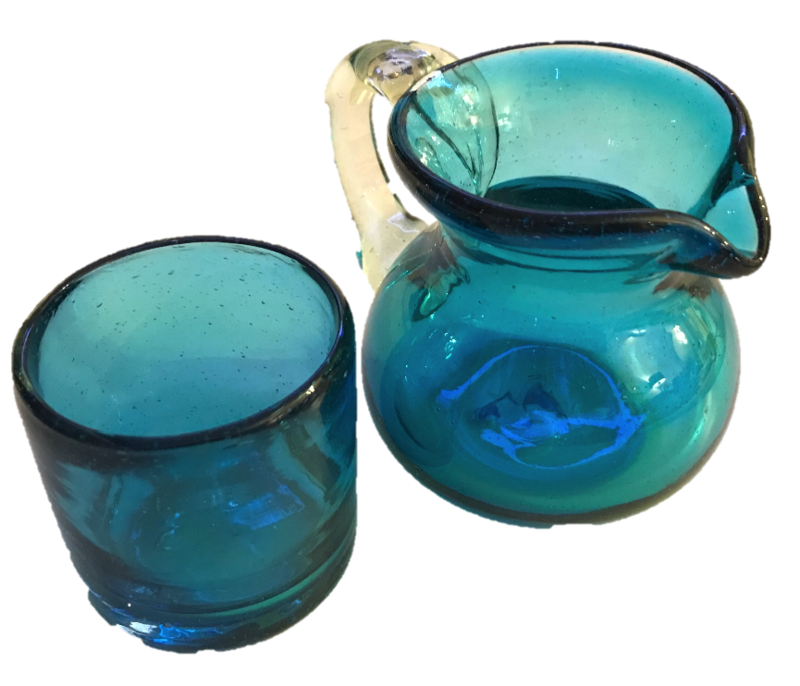 Ideal pieces to complement your bar.